Who says you need a special occasion to celebrate life? We believe your life should be celebrated EVERY day! Sometimes, we start to sweat the small stuff that’s happening in our lives and forget to be grateful for all of the great things we have. Rather than letting the small things get you down, you should put a smile on your face by celebrating life each day. Have you ever considered that? If not, it’s okay. We are here to guide you through some simple ways to celebrate you! Things can seem gloomy at times, but that doesn’t mean that you should forget about all of the good times you have had in your life. Have you ever heard the saying, “tough times don’t last but tough people do”? Tough times come often, but then there are good times. Continue to celebrate your life each day for every good thing that you have accomplished and for the future of things to come. Wake up each morning and enjoy yourself. Give yourself enough time each morning to relax and be grateful for all of the good things in your life, it can help set your mood for the rest of the day. You don’t always have to celebrate the big things in life. It’s okay to celebrate the things we typically take for granted. For instance, have you celebrated your health, roof over your head, or food on your table? We sometimes forget how good we have it compared to others throughout the world and take some of the things we get daily for granted. We should remember to celebrate everything, even things we don’t realize all of the time. Celebrate yourself by treating yourself! Is there a new pair of shoes you have been wanting or a movie you have been waiting to see? It doesn’t have to be a huge treat, but you should do it for yourself! Share your enthusiasm for your life with those around you. You never know, the joy you spread may be contagious and others will feel great after hearing it from you. Go for a walk on the beach, book that vacation you have wanted to do, or style your hair differently! Be spontaneous! Live in the moment and enjoy breaking your regular routine. Many of us create ourselves a to-do list, but have you ever created a ta-da list? A ta-da list includes everything you have accomplished, rather than focusing on things you haven’t made it to yet! Celebrate your successes and don’t focus so much on what is yet to come. Celebrating your life is something that you can do easily each day. 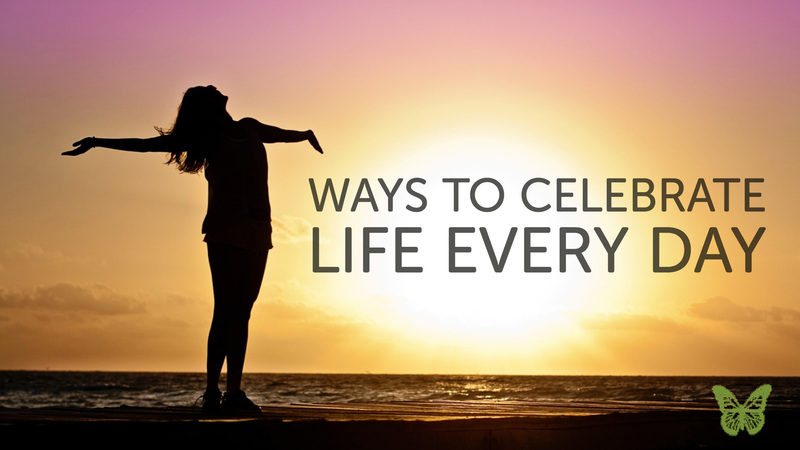 The ideas listed above are just a few ways you can be appreciative of your life! Ascension Funeral Group serves the Mobile, Alabama area with funeral and cremation services, grief support, pre-planning, and more. Visit us online at www.AscensionFuneralGroup.com! Call us anytime at 251-634-8055 or connect with Ascension Funerals & Cremations and Forest Lawn Funeral Home on Facebook and Twitter!